Spread Cheer this holiday season with a new product from COBS Bread! 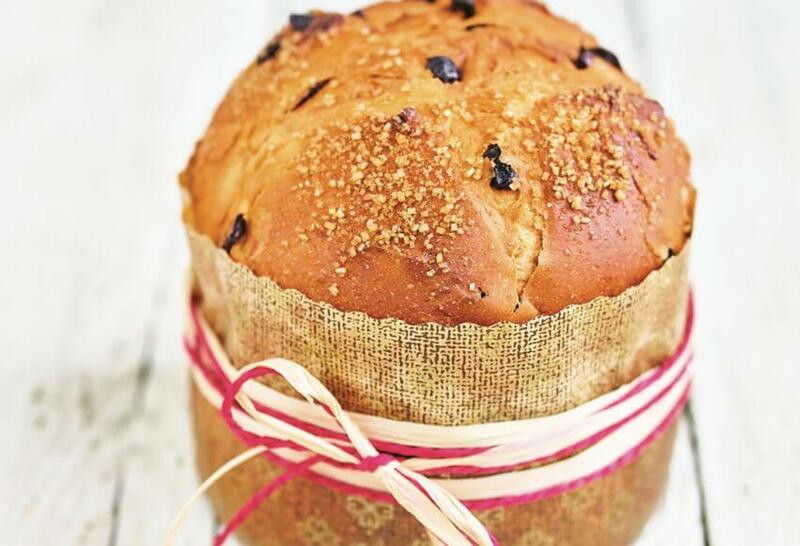 Have you tried our new Cranberry Orange Brioche Loaf yet? Baked fresh daily from scratch, it comes in two convenient sizes – a loaf for sharing and a muffin for an individual treat. New to brioche? 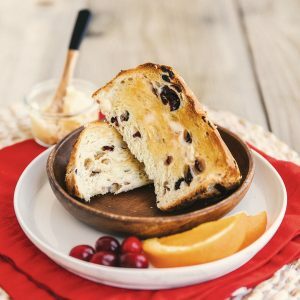 While our Cranberry Orange Brioche Loaf and Muffin are perfect as is or with a small spread of butter while enjoying a morning coffee, we’ve come up with a trio of ways to enjoy the Cranberry Orange Brioche. Simply slicing and toasting the Brioche brings out the sweetness of the cranberries and the fresh zest of orange peel. Since it’s not a typical loaf shape, you might be asking yourself “How do I actually slice this?”. While you can easily slice it lengthwise (just like a regular loaf of bread) for an even slice, you can also cut it into wedges for a slice of toast that varies from soft to crispy. If you would prefer the perfect treat for a snack on the go, our Cranberry Orange Brioche Muffin is the ideal size. 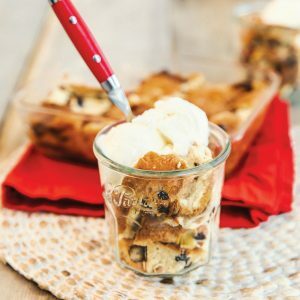 Regular French Toast is so last weekend! Swap in evenly sliced pieces of our Cranberry Orange Brioche Loaf for your regular loaf as a holiday treat. 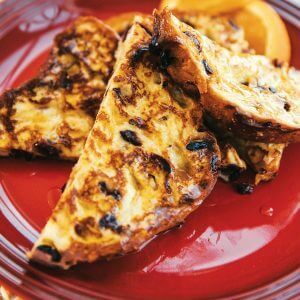 Use your favourite French Toast recipe or try ours! Have you tried our new Cranberry Orange Brioche Loaf or Muffin? What’s your favourite way to enjoy it? Find your local bakery to pick up our new Cranberry Orange Brioche. Hurry in! It’s only here for a limited time.